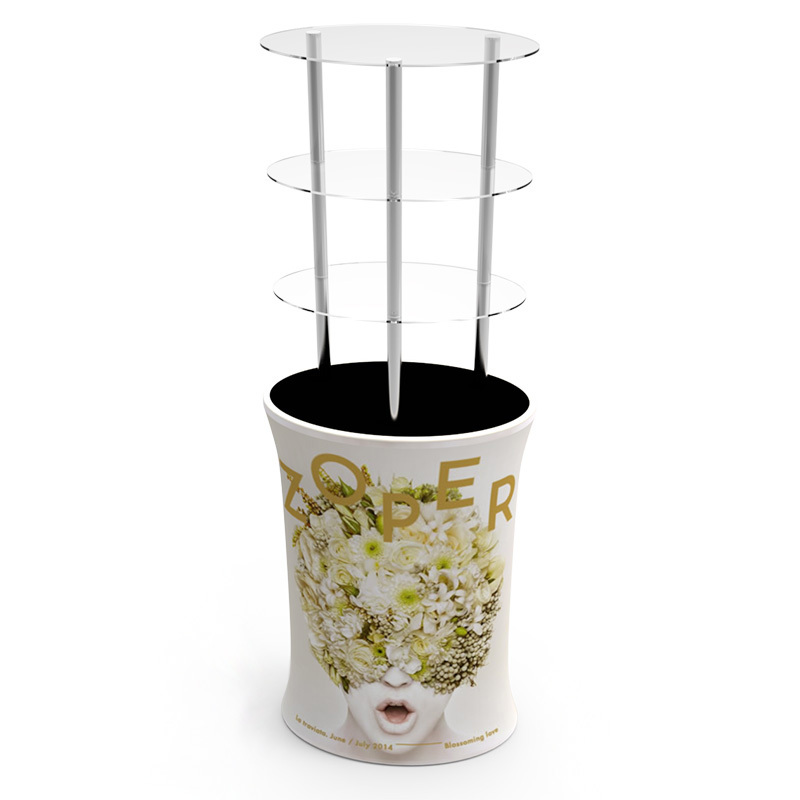 Our smart eyecatching portable tower is made of medium density fibreboard (MDF), aluminium poles and Plexiglass display boards, covered with a polyester banner. Folding oxydic aluminium poles are lightweight, portable and not easy to scratch. The MDF base comes with Antiskid pads for stability on slippery or wet floors. The frosted Plexiglass board is wear resistant and corrosion resistant, with excellent transparency to display products. 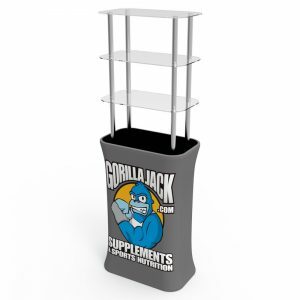 It could also be used a a trade show counter without the Plexiglass boards. 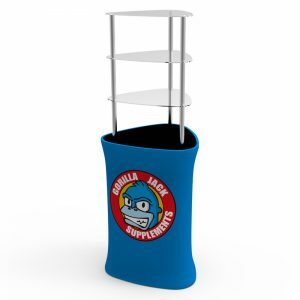 Display Rack Oval Podium Tower BC03. Contact Beaumont & Co.